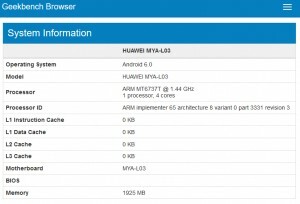 A mysterious Huawei device appeared a few days ago on GFX bench with a Huawei model number: MYA-L03. This device is said to be called the “Huawei Maya”. There is even an FCC filing dated December 28 of last year, which managed to slip under the radar during the Christmas/New Year break. We’ll get to the FCC filing later, but first let’s check out the specs of this unknown device. The GFX Bench lists the Huawei Maya running Android 6.0, and carries the same model number mentioned above. A MediaTek MT6737T (1.44GHz, 1 processor, 4 cores) powers this device, so we can assume it would be a budget smartphone, even cheaper than the Honor 6X. Paired with the CPU are 2GB of RAM. The FCC filing reveals that there is a second model with the number MYA-L23 which would be a dualSIM device while the other one is a single SIM. Also in the filing, we saw a 2,920 mAh battery, 2.4 GHz Wi-Fi, and Bluetooth (though the version was not specified). The device will be compatible with LTE bands 2, 4, 5, and 7 on both models. 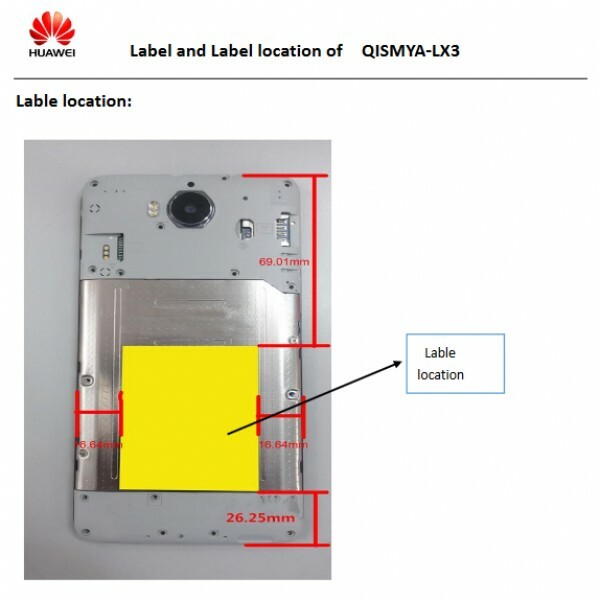 There is a photo of the back of the device to show where the FCC label would be placed. And based on this photo, we can safely assume the device in question will feature swappable backplates. Much along the lines of the how the original Moto G’s was designed. Upon closer inspection, we can also see an expandable memory slot. Huawei might be trying to enter the ultra-affordable market in the US, Perhaps we could expect a smartphone like this one to run for $100-$150. We’ll have to wait to hear more about the Huawei Maya. Thanks for the tip, René! It's going to be a low-end phone for people on a tight budget or people who don't want the latest powerful phones. Quit whining.